Most of us are painfully familiar with the flat, musty smell of a corked wine, but does the same unpleasant phenomenon ever ruin a bottle of whisky? Here’s the Whisky Professor with the answers. As a passionate oenophile, there is nothing I like better than to while away an evening immersing myself in several glasses of an importunate young village Burgundy, or possibly a fabulously flinty Pouilly-Fumé. I’ve tried and failed to fall in love with Australian Chardonnay and New Zealand Sauvignon Blanc, and freely admit to being an Old World wine snob of the first water. There is just one thing guaranteed to ruin my vinous reverie, and which causes me to yearn for the screwcap-adorned wines of Yarra or Marlborough: corked wine. For, although I would not characterise myself as a hyper-sensitive taster, I find I have a bloodhound-like ability to pick up the faintest whiff of cork taint. It’s a gift that keeps on giving. I have recently also become passionate about the world of Scotch whisky, and am currently educating myself on the styles and characters of the various malt whisky distilleries through the medium of liquid. In other words, I’m drinking a fair bit of Scotch. But imagine my horror when I popped the cork on my latest single malt purchase – the name isn’t important, but it’s a whisky known more for subtlety than explosive flavours – only to find that all-too-familiar wet cardboard stench bursting out of my glass. So tell me this: is this some kind of fiendish corked wine flashback, or does corked whisky really exist? Admittedly, the incidence of corked whisky is lower than wine – possibly because whisky’s higher alcoholic strength and aromatic intensity make it more difficult to pick up. But it does happen and manifests itself in the same way – a smell of wet newspaper or cardboard, a stale mustiness. What is it? The main culprit is a chemical compound called 2,4,6-trichloroanisole (TCA to its friends), which can be picked up at two parts per trillion (ppt) in the case of white wine. The level rises to 5ppt with red wines, and I’d assume it would be higher again in the case of oak-aged spirits. The trouble is that, as you suggest in your letter, not everyone is highly sensitive to TCA and, while everyone can notice infection at 100ppt, only 50% of tasters (including experts) can pick it up at 10ppt. In other words, a lot of TCA-infected beverages are never noticed. TCA is produced when the phenols contained in wood (the tree bark used to manufacture corks, for example) are changed to TCP (2,4,6-trichorophenol) by chlorine, and then into TCA by microscopic fungi, in the presence of moisture. 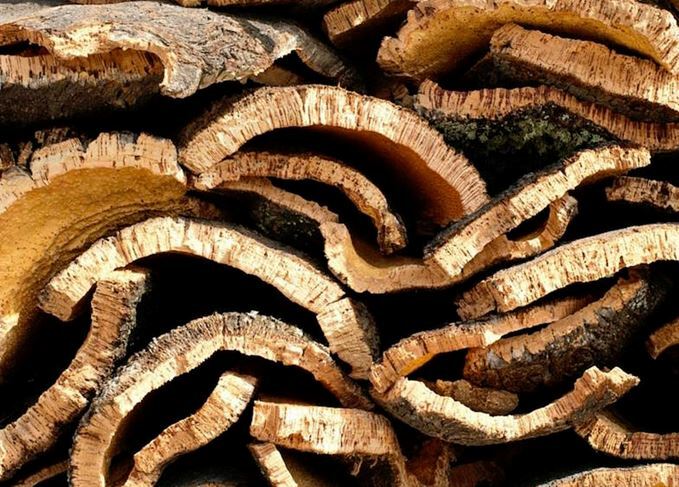 It could exist in the bark of the tree if it has been treated by a chlorine-based fungicide, or emerge during the manufacture of the cork, particularly in the cork bleaching process. There is an ongoing debate as to whether composite corks – the ones with lots of bits of cork stuck together – show a higher incidence of TCA. Results are inconclusive. TCA isn’t just contained in cork, however. It can lurk in packing materials, wooden pallets, wooden shipping containers, cardboard boxes and casks. In fact, any damp, porous material which has been treated with a chlorine-based cleaning product can harbour TCA – even shower curtains. All can infect a cork. TCP can also be produced by exposure to polychlorinated phenols used to treat wood. Every cask in one rum producer’s cellar had to be destroyed as a result of TCP infection. In a previous life, I used to be a wine academic, and spent a period of time working in Australian wineries. One day, a new batch of corks arrived. That evening, 100 corks were taken and each placed in a jar containing a neutral white wine. The following day, these samples were decanted into 100 glasses, alongside one more glass of wine that hadn’t had cork in it, as control. We nosed the glasses and, if one showed TCA, then the batch would be rejected. Interestingly, although that batch was clean, every glass showed some flattening or diminution of aroma – one reason why so many fresh, light white wines are now routinely screwcapped. The wine industry has also moved away from chlorine-based cleaning products, while the cork industry has introduced new technology to try to eliminate TCA taint (chlorine is no longer used by major cork firms, such as Amorim). This, plus the move away from cork and into screwcaps, has reduced the incidence of TCA taint dramatically. Whisky, on the other hand, is moving the other way and corks are now increasingly commonplace. As a result, it is inevitable that TCA infection will have risen. I was chatting this over recently with Brian Kinsman at William Grant & Sons. The firm, in common with other Scotch distillers, is working closely with cork producers to stop potential TCA infection at source. So, be aware. If you think there’s an issue, either return the offending bottle to the store – specialist retailers will know what you are talking about (if they don’t, take your business elsewhere) – or, better still, send it direct to the producer/bottler. I hope that goes some way towards answering your question, and wish you many more happy and TCA-free years of tasting (wine and whisky). A behind-the-scenes look at the revamp of the world’s third most popular Scotch whisky. Changes include the renaming of the flagship blend and the launch of three new expressions.